So, in a previous post, I replaced my newer kitchen canisters with a vintage set of a Chicken theme. (Click the link to read the previous post). These are working out wonderfully and aren’t the only vintage items I use in the kitchen. 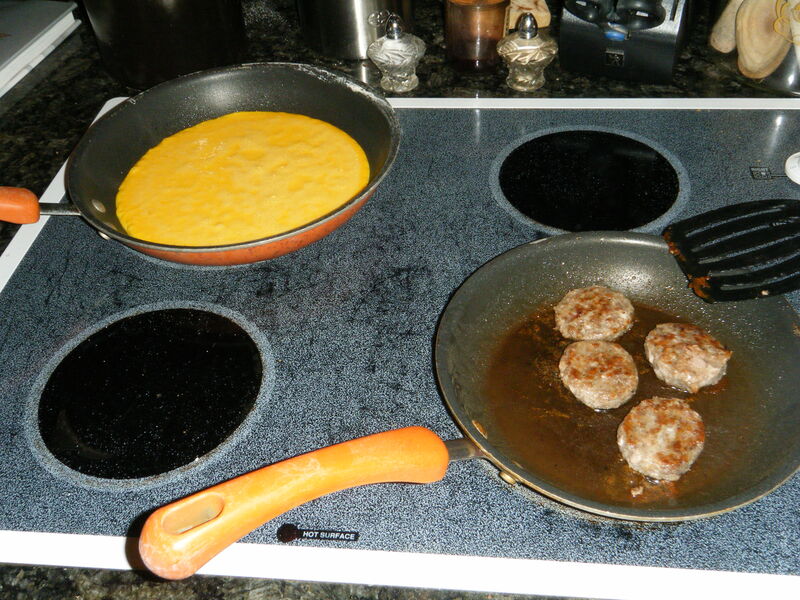 One morning, I decided to make Loretta Lynn’s Cathead Biscuits with sausage and fresh egg omelets for breakfast. I realized I have quit a few cute things to show you! The Flour canister is big enough to dip in a large measuring cup with no problem. 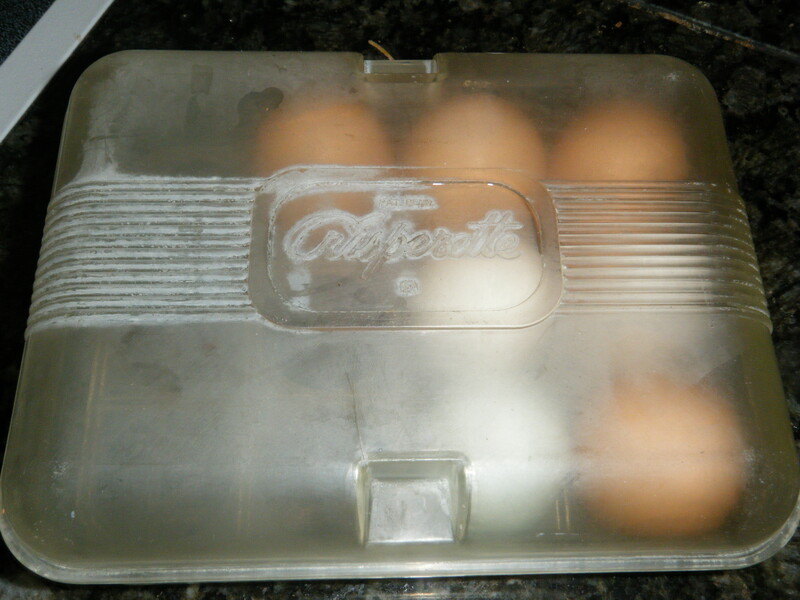 I keep my backyard chicken and duck eggs in a cute little vintage Crisperette! 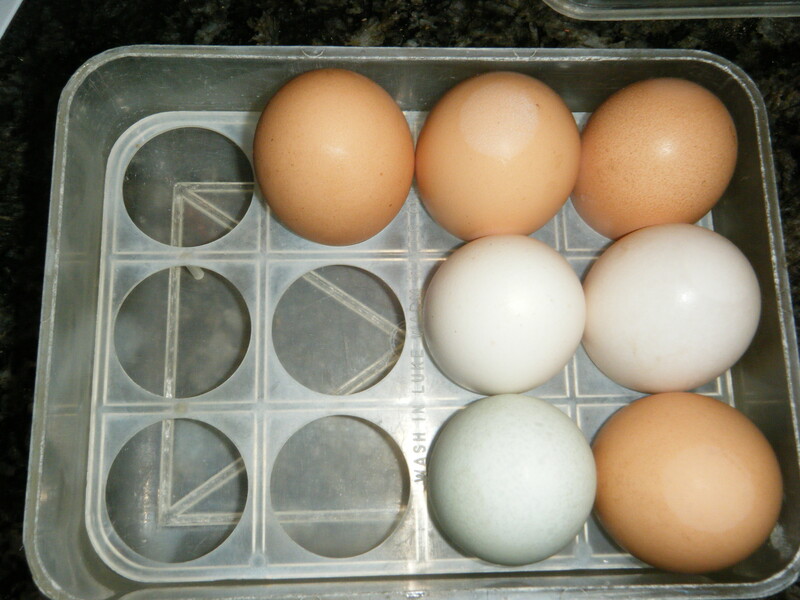 It stores one dozen eggs…although some of my chicken and duck eggs come out too big to fit, so the Crisperette is good for petite sized eggs only :). 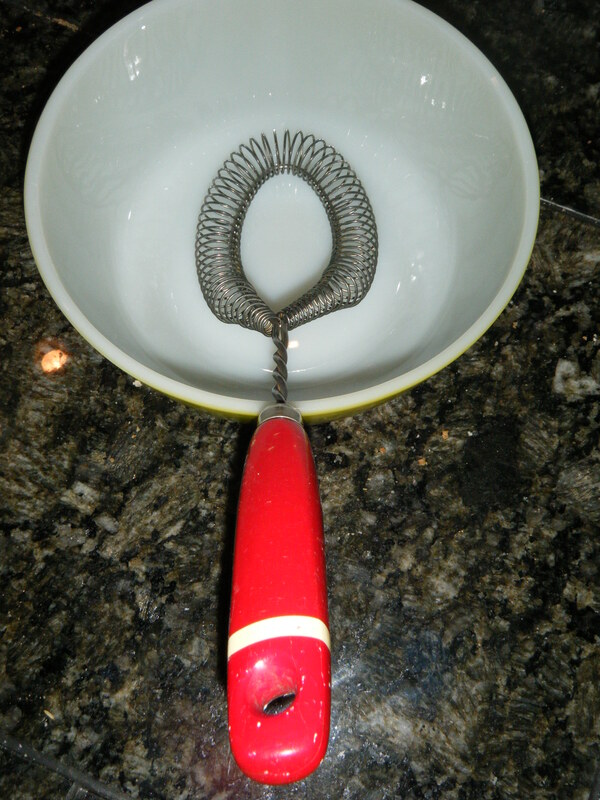 I scramble to eggs with a bright red handled whisk…NEVER put your painted wood handled vintage kitchen utensils in the dishwasher for fear of the paint cracking and peeling off!!! Preheat oven to 400 degrees Fahrenheit. 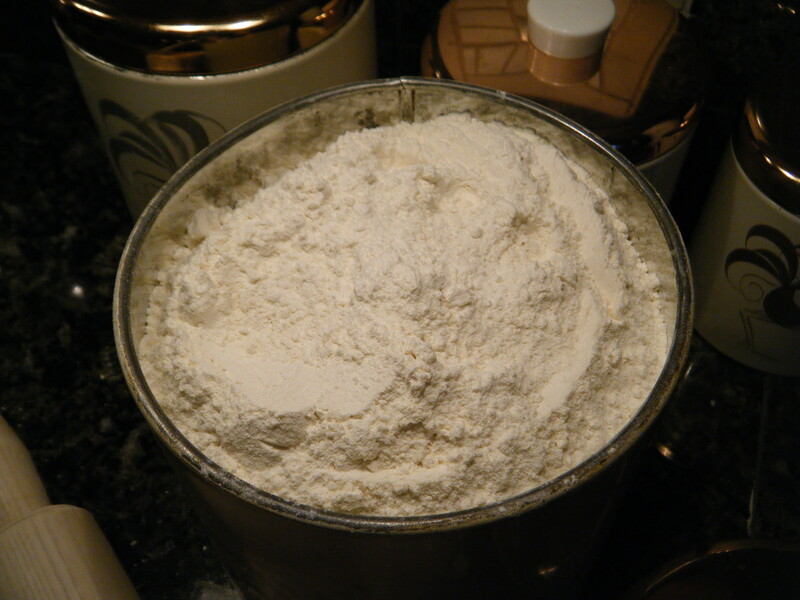 Sift flour into a large mixing bowl. Cut butter into small pats and then use a pastry cutter or a fork to cut the butter into the flour until it resembles crumbles. Stir in buttermilk until a dough ball is made. 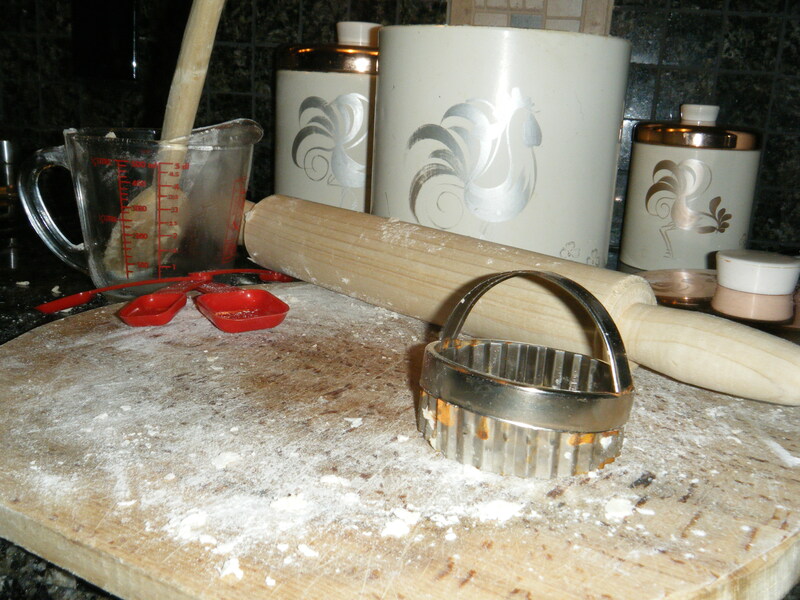 Roll out the dough onto a floured surface and use a biscuit cutter to cut out 8 to 10 biscuits. 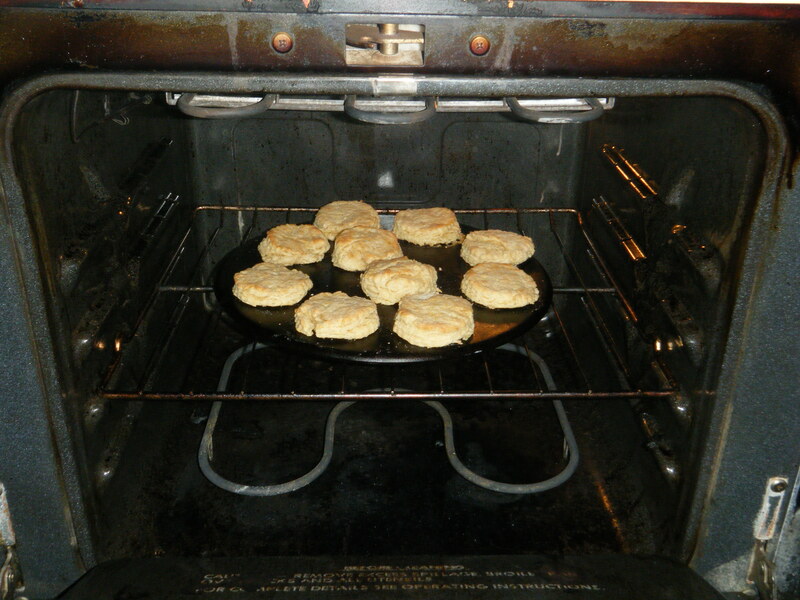 Cook for 10 – 12 minutes or until golden brown! Serve with love and enjoy!